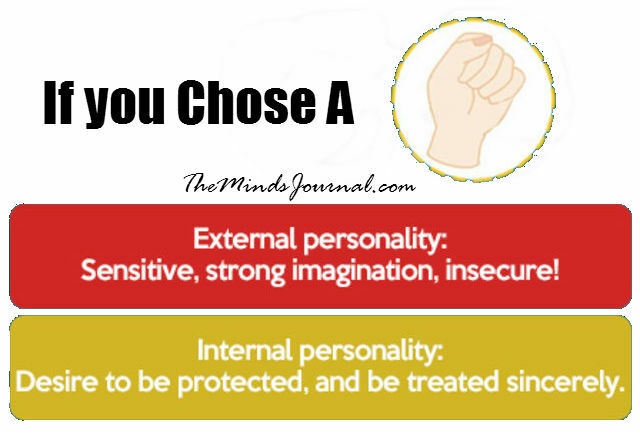 Have you ever paid much attention to your individual mannerisms? We often notice things about other people around us do, but why do we never pay much attention to ourselves? Learning to evaluate your own movements and mannerisms will help you to gain a deeper understanding of yourself. Body language is HUGE. So start paying attention! 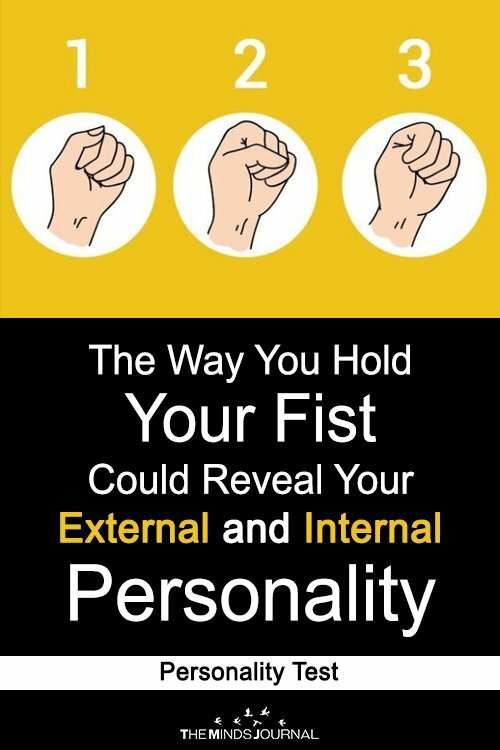 For instance, did you know that just by looking at the way you scrunch your hand into a fist, can reveal a lot about your internal and external personality? 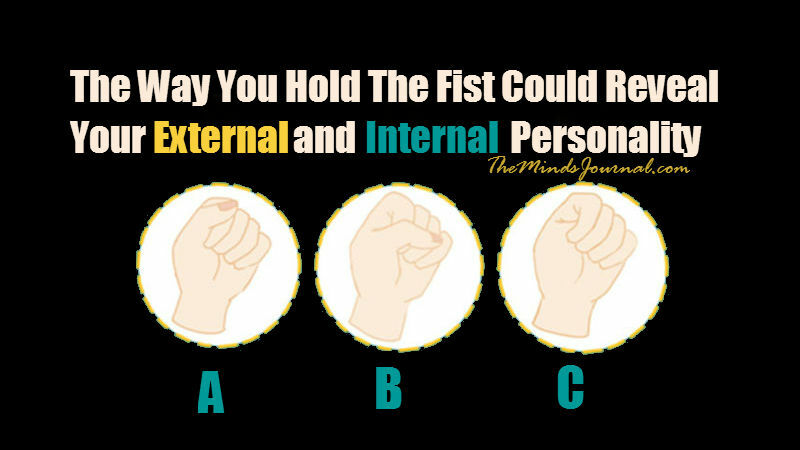 Look at the image below and choose which way do you hold your Fist , scroll down to read about each of them. 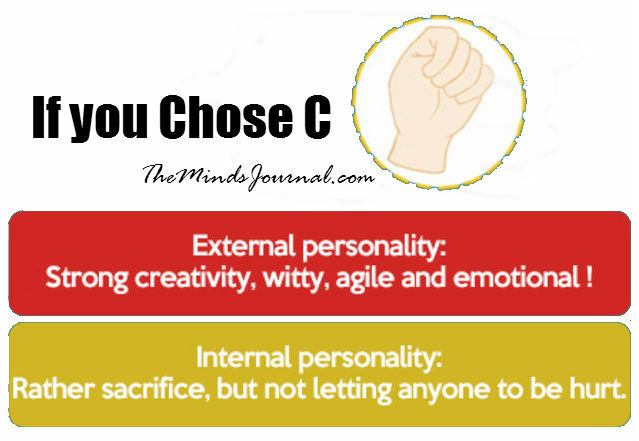 Sensitive, strong imagination, great intuition, like to help people, insecure, compassionate. Enthusiastic, not bothered about trifles, a little impatient, energetic. Curious, adventurous, funny, self-ironic. Desire to be protected and be treated sincerely, likes the feeling of being recognized and accepted. Overly nice at times to the extent of being used by others for advantage. Full of talent, creative, ope minded and friendly. 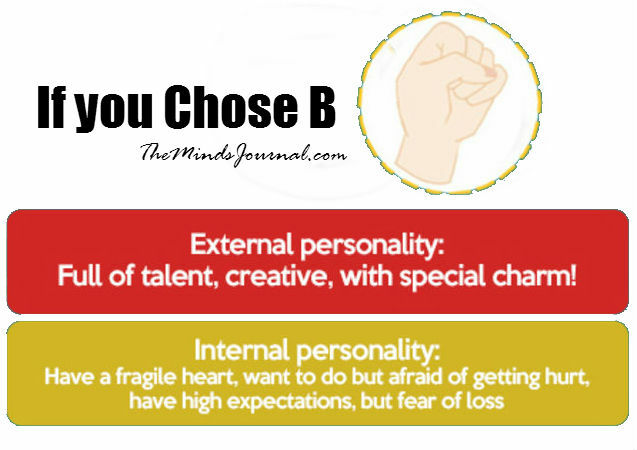 Generous, intelligent, confident with strong self-esteem, a power seeker. Hard worker, Idealist, flexible and alert. Has a fragile heart, Vulnerable with a lot of expectations. Strong creativity, witty, agile, good at phrasing, emotional, reacts quickly. Practical, desires beauty and art, thoughtful, worrier, sensitive. Smart, flair, advocating harmony. Most of the time, you just choose to remain silent, but that is your mildness, you would rather sacrifice, but not letting anyone to be hurt. It is not difficult to understand you, all you want is a few flexibility and dreams, and people who understand you, then that’s enough. This is strangely on point.